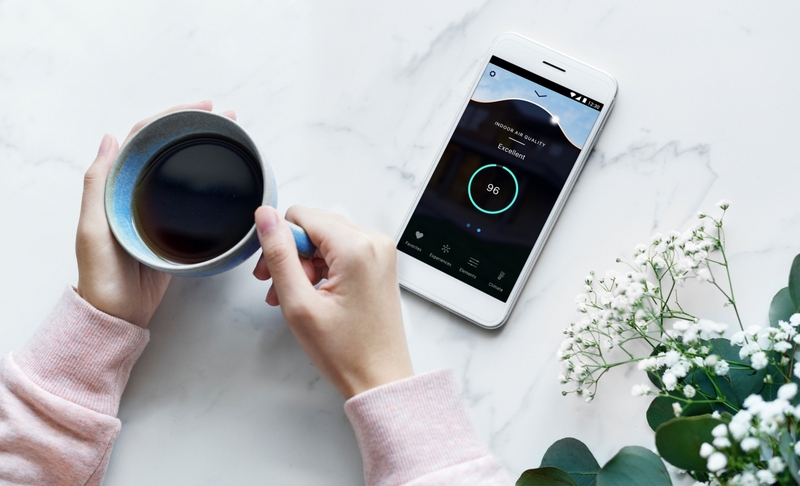 The DARWIN™ Home Wellness Intelligence platform monitors, calibrates and activates indoor home environments, responding to changing conditions to help improve human health, well-being and performance. NEW YORK, September 10, 2018 /3BL Media/ — Delos™, the pioneer of wellness real estate and founder of the WELL Building Standard™, announced today the launch of the DARWIN Home Wellness Intelligence platform — a groundbreaking offering designed to enhance health outcomes in the home and mitigate harmful indoor environmental concerns, utilizing Delos’ proprietary wellness algorithms and sensor technologies, to create spaces that help reduce stress, improve sleep quality, increase performance and enhance overall well-being. Backed by over seven years of research, the DARWIN Home Wellness Intelligence platform focuses on four main components: air filtration, water purification, circadian lighting and comfort-focused technologies, all of which simulate the natural outdoor condition. Powered by Delos’ proprietary cloud-based algorithms, the dynamic platform interacts with an ecosystem of Delos approved products and solutions to bring wellness intelligence into the connected home environment. DARWIN is flexible and accessible, launching across all segments of the housing market, from mass market to luxury. HTSA Network: Delos is training professionals throughout the United States to become accredited DARWIN dealers and installers. Simonds Homes: Simonds, a leading volume home builder in Australia, will include DARWIN as part of its base package in all new homes in the state of Victoria beginning this month, setting a new baseline for market rate housing. KB Home: Delos is a title sponsor for the KB “Home of Future”, scheduled to be unveiled at the 2019 Consumer Electronics Show in Las Vegas. DARWIN will be featured as the home’s wellness technology platform. Lateral Estate: Lateral, a preeminent Australian real estate developer, has announced DARWIN as a standard offering in all of its multi-family residences at Parc Blakehurst in Sydney. 1371 Summitridge Drive, 521 North Cannon Drive: As part of a broad national roll out in luxury housing, these luxury single family homes in Beverly Hills, California incorporate the comprehensive home wellness platform, making them the first luxury residences to be powered by DARWIN. DARWIN is currently being commissioned by many of the most sought after newly constructed luxury homes in the United States. Delos has fostered leading research collaborations with the Cleveland Clinic, Mayo Clinic, a board of doctors from the Columbia University Medical Center and architects, scientists and wellness thought leaders to introduce wellness standards, programs and solutions into the built environment. Delos established the Well Living Lab™ in collaboration with Mayo Clinic — the world’s first lab committed to researching the real-world impacts of the indoor environment on human health and performance. Delos’ wellness technologies and solutions, along with the International WELL Building Institute’s WELL Building Standard, have seen broad adoption of wellness real estate programs across the commercial real estate market, with nearly 1,000 projects in 35 countries. Building upon the substantial success in the commercial sector, the launch of the DARWIN Home Wellness Intelligence platform marks the first expansion of Delos’ offerings to the residential smart-home market. “Our home environment has a profound impact on our health, well-being and happiness. As the pioneer of wellness real estate and the founder of the WELL Building Standard, the introduction of the DARWIN Home Wellness Intelligence platform is a natural extension of Delos’ leading science and research and makes improved health, well-being and happiness available to all,” said Deepak Chopra (Delos Advisory Board Member).